I’m traveling to Boston this week, and flying my favorite airline: Virgin America. One of the perks on the flight this week is that Google is loaning out ChromeBooks to anyone who wants them for free, including free Wi-Fi. The funny thing is that despite multiple announcements, few people took them up on this free offer. As I look around the plane (where I’m writing this), a number of folks are on laptops and iPads, so it isn’t as if folks didn’t want to be online. Given that Android tablets haven’t been doing all that well either, I think this helps illustrate a fundamental weakness in Google. Even though the company is clearly made up of people, and makes its money from advertising, Google doesn’t seem to understand how to create excitement. Yet, Google+ had plenty of excitement, demonstrating that Google is capable of it. Let’s explore why Google is at the root of the demand issues with Android Tablets, and why ChromeBooks are these tablets’ worst enemy. Watch Apple. The company will focus on a new product nearly exclusively until it succeeds. It waited until the iPod started to slow before bringing out the iPhone, and then largely shifted marketing to that new platform. It didn’t start the iPad until the iPhone was clearly a success. The firm is methodical about driving all the way to the success of one product before moving to another. This is the advantage of focus. Apple TV didn’t get that same focus, and despite actually being the best set-top box (besides those from cable companies), it hasn’t done that well. This suggests that it isn’t some magic related to Apple products, but the fact that Apple drives success into its offerings, and doesn’t get distracted until that drive has hit Apple’s expectations. Google, by contrast, seems to have a new initiative every few months. Most of these (Wave, etc.) seem to fail from lack of interest. Google doesn’t drive to success, and appears to have the attention span of a small child. 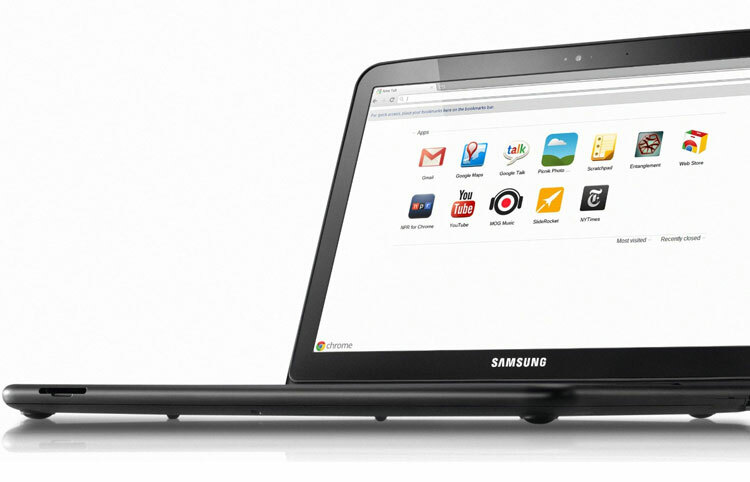 Android tablets aren’t successful yet, but Google has already started to push ChromeBooks. Arguably, this just confuses buyers. If you think about it, even though they run on different software, the ChromeBook and Android Tablet overlap in price and their connectivity advantages. But having two very different software platforms both splits developers and confuses the buyer, reducing demand and benefitting Apple, which looks simple by comparison. If you add a keyboard to an iPad, you effectively get the benefits of an Android Tablet and a Chromebook in one product, and you only have to live in one interface. Developers have an easy choice. If Google had been giving out Android tablets on the plane, rather than ChromeBooks, more passengers likely would have taken them. Android tablets dovetail with the iPad’s success, while the ChromeBooks look too much like the early failed netbook effort. People aren’t taking the Google offer because, even for free, it isn’t worth it for them. They just don’t see the value because Google hasn’t first created any demand for a new product, and what demand there is focused on the iPad. The irony here is that Steve Jobs actually mentored the Google founders, who just seemed to steal Apple’s product ideas but clearly didn’t grasp the more important information: how to build and sustain demand for new technology products. Without that skill, they become their own worst enemy, because they have a tendency to pull demand from the very products they should be aggressively trying to complete and promote. Until Google figures that out, the company will likely remain its own worst enemy. This is why seeding ChromeBooks is killing Android Tablets.